My lab is a dudley and his name is JACK. He is 10 months. he loves to play in the mud. 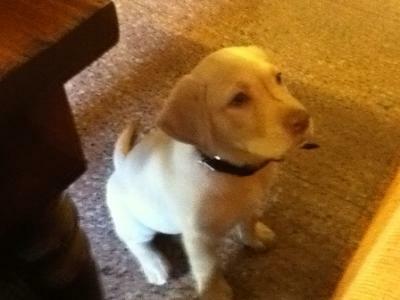 he is very playful,cute and a little lazy.he is a yellow duley lab. I love to take pics of jack while he sleeps. jack is a very neat and tidy dog in the house but if i let him play outside in the garden i have to give him a bath again.